Sedona is a magical little town in Arizona situated in the Red Rock Wilderness of the Coconino National Forest. Renowned all over the world for it’s mystical healing energy vortexes, Sedona is a very popular tourist destination for the traveler and new-age enthusiast alike. Whether or not you’re into the vortex beliefs, there truly is something magical about Sedona. Maybe it’s all the nice people or the towering red rocks surrounding the town – whatever it is, it’s certainly worth a visit. 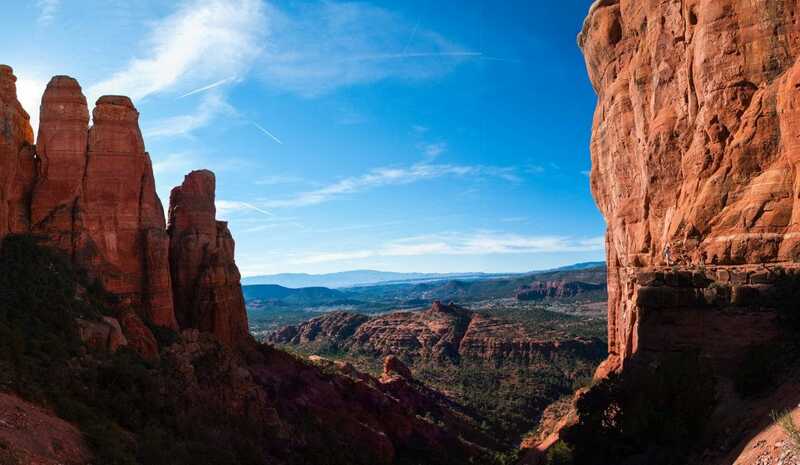 Sedona is an incredibly popular off-roading and hiking destination, with over 120 trails with over 300 hikeable miles. 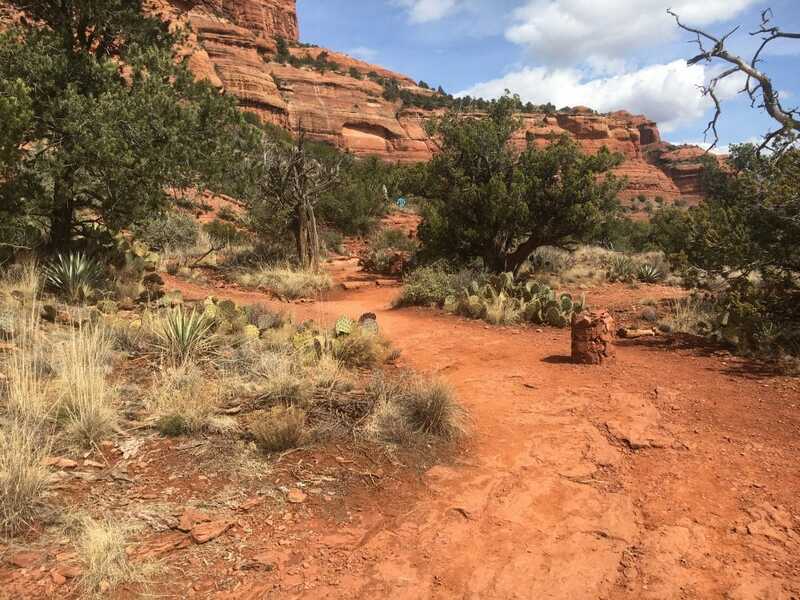 Sedona is in the desert where the air is dry – so even for these day hikes be sure to wear sunscreen, bring shade or wear a hat, and drink plenty of water! With over 120 trails to choose from, it is difficult to narrow it down to just 5. 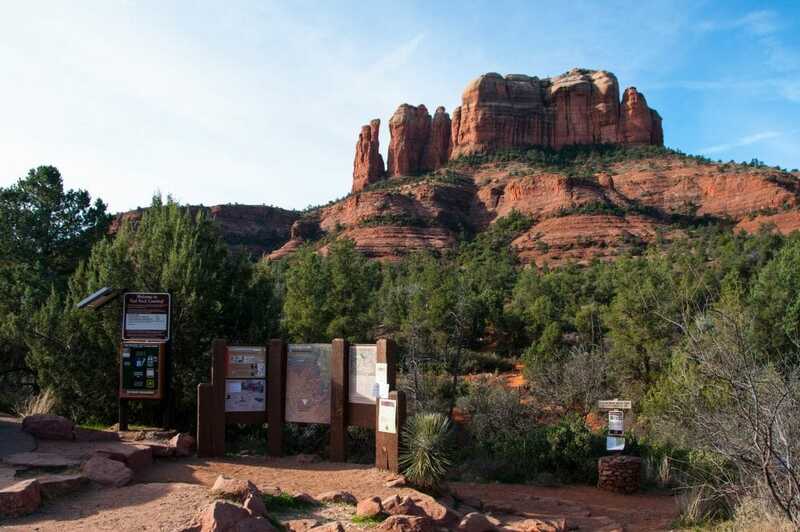 However, the popularity, accessibility and scenery of these hikes made them perfect candidates for our 5 Best Day Hikes in Sedona, Arizona. 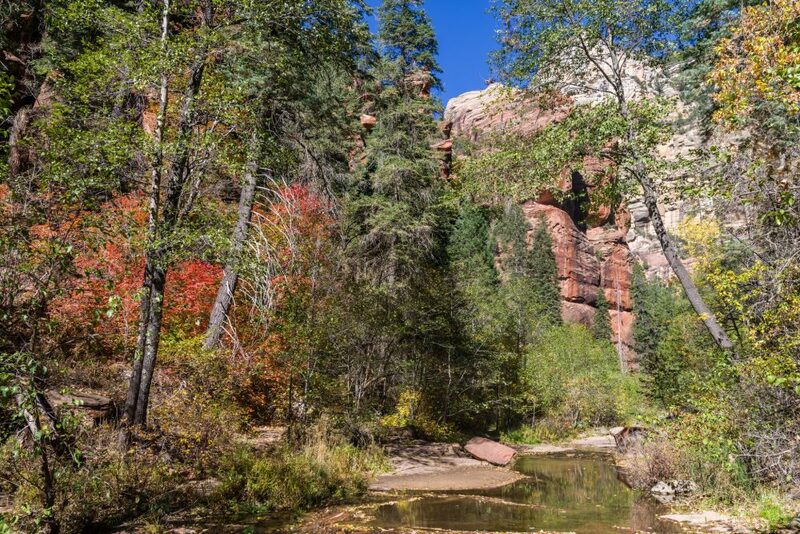 Arguably the most popular day hike in Sedona, the West Fork trail meanders along with the clear waters of Oak Creek. In fact, this trail crosses the stream a total of 13 times. This trail offers something for every season: the blooms and birds of the spring, gorgeous shade from towering cliffs in the summer and incredible leaf changing shades in the fall. At the start of the trail, you will come across the ruins of Mayhew Cabin – built in the 1870’s by a man called Bear Howard. 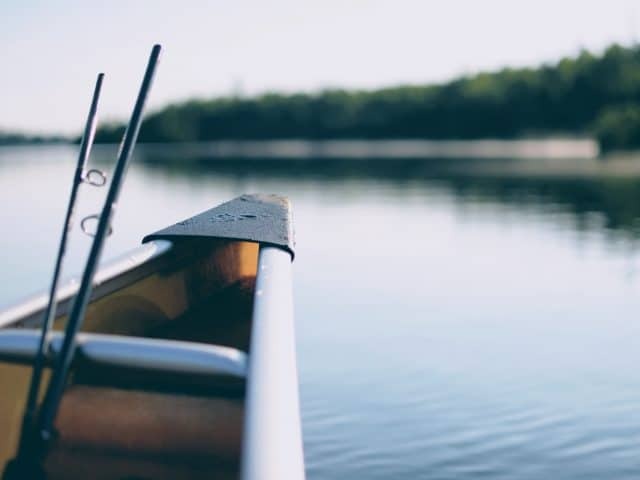 In 1924, the cabin housed the western novelist Zane Grey who wrote the book Call of the Canyon. The cabin was in operation until 1968 and was a host to a number of Hollywood stars like Clark Gable and Walt Disney. The cabin eventually burned down in 1976. 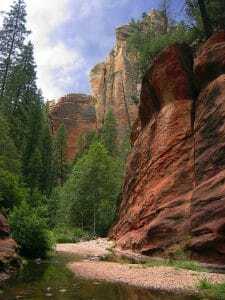 Along the trail you will navigate over stream crossings and beneath beautiful towering red rock cliffs. Keep in mind that your feet may get wet on this hike. Because of the popularity of this trail and limited parking, it is recommended that you arrive early in the morning on a weekday. If the parking lot is full, you’ll have to come back another day as parking along the road is not permitted. The parking lot generally fills up by 9-9:30 in the mornings. 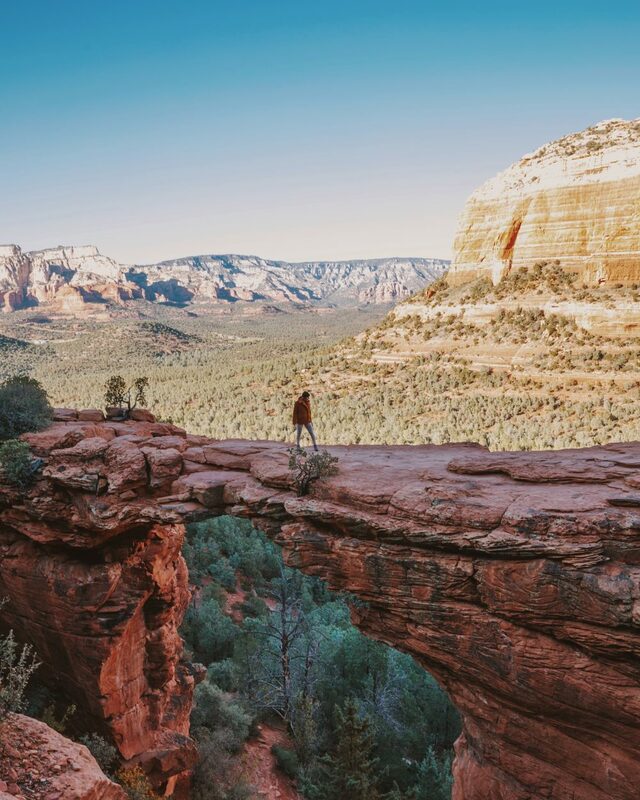 One of the most breathtaking hikes in Sedona, Devils Bridge is located in the Red Rock Secret Mountain Wilderness. 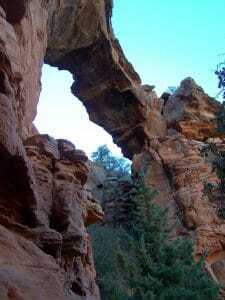 According to the National Forest Service, Devils Bridge is the largest natural sandstone arch in the Sedona Area. The Devils Bridge hike will be 2-4 miles round trip depending on where you park. If you have a high-clearance vehicle, you can drive down Dry Creek Road (FR 152) until you reach the trailhead which will make your hike just 2 miles overall. This seriously means high clearance. The rocks on FR 152 are no joke – during my own hike to Devil’s Bridge I saw a sedan and a crossover both try to make it and get stuck or have to turn around. If you don’t have a high-clearance vehicle, there is a parking lot at the Mescal Trailhead on Long Canyon Road. This parking lot often fills up quickly, but you should be able to park along the road. 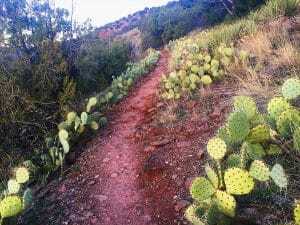 Then you can choose to walk down FR 152 to the trailhead (shorter and easier) or take the Mescal to the Chuckwagon trail that will meet up with the Devil’s Bridge Trail. There are maps at the trailhead to help you decide. The trail starts out wide and easy and gradually thins out and starts to gain elevation towards the Devil’s Bridge formation. 400 feet may not seem like a lot, but it is enough to get you winded if you aren’t used to hiking uphill! There are many different areas to rest and take in the gorgeous scenery of the Red Rock Secret Mountain Wilderness, and although it’s a highly trafficked trail, you will be able to find some quiet areas to rest if you desire. For more solitude, plan to start this hike early in the morning on a weekday if possible. Once you get to Devil’s Bridge, it’s actually a heavenly sight to behold – and not for the faint of heart! If you’re brave enough, you can venture out across Devils Bridge. It is decently wide but exercise extreme caution – a fall here would be catastrophic. Walking across the arch isn’t for everyone, but taking pictures certainly is! The trail is not round trip so you will head back the same way you came. 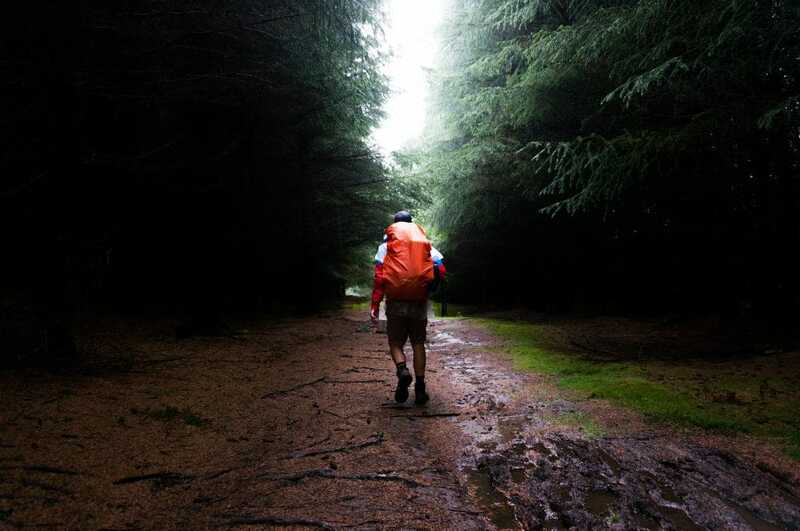 Remember to follow proper trail etiquette on the way in and back – the uphill hiker has the right of way unless they move aside for you, but it’s their choice! 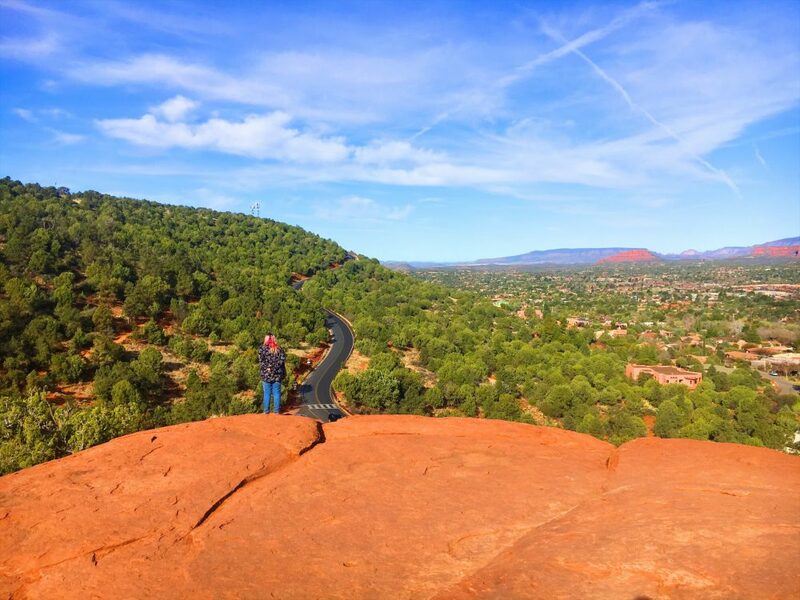 Airport Mesa is not only a stunning hike with breathtaking 360-degree views of Sedona and all of its red-rock landmarks, it is also one of the popular vortex sites. Because of this, expect it to be crowded. When I hiked this trail, I arrived about 30 minutes before the sun came up and there were already about 4 cars parked in the 10-or-so parking spaces. It is crowded, and for good reason. If parking is unavailable, you may want to park at the top of the mesa in Airport Scenic View parking lot and walk about a mile down to the trailhead. This trail follows around the upper slope of the Airport Mesa, named so for the regional airport that sits on top. There is only shade on one portion of the hike, and depending which way you go it will either be at the end or beginning of your hike. Be sure to wear a hat, sunscreen and bring plenty of water for this hike. The trail is mostly level with a few gradual ups and downs and goes around the entire mesa. Because of this, you will get spectacular views of the entire town on all sides, and all of the famous landmark rocks. On the back of Airport Mesa, if you’re lucky, you may get to see a plane landing directly above your head. The trail ends across the street from where it began on Airport Loop Road. Be sure to climb to the top of the mini-mesa vortex site either before or after your hike to experience one of Sedona’s many energy vortexes. Whether you believe in the vortexes or not, there are great views from the top of this one! 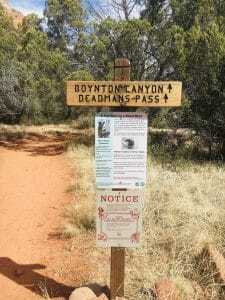 Another of the Sedona Vortex sites, Boynton Canyon offers a beautiful hike through the canyon up to an overlook with open vistas. From here you’ll be able to see for miles – Deadman’s Pass and Mescal Mountain, Capital Butte, Chimney Rock, and Courthouse Butte and the Enchantment Rock. The hike begins on a level surface winding through the trees inside Boynton Canyon. As you gradually make your way along the hike, you will start gaining elevation as Enchantment Resort comes into view. You will make your way from forest to desert landscapes with something new to look and marvel at the entire way. As you make your way up, the elevation is gradual and doesn’t feel as though you’re gaining as much as you are. At the overlook of Boynton Canyon, there are plenty of places to sit and rest and take in the captivating views. Almost more of a rock climb or scramble than it is a hike, the Cathedral Rock trail is difficult but the views are so worth it. Cathedral Rock is yet another one of Sedona’s famous vortex sites, but whether you follow that belief or not – the views are for everyone. 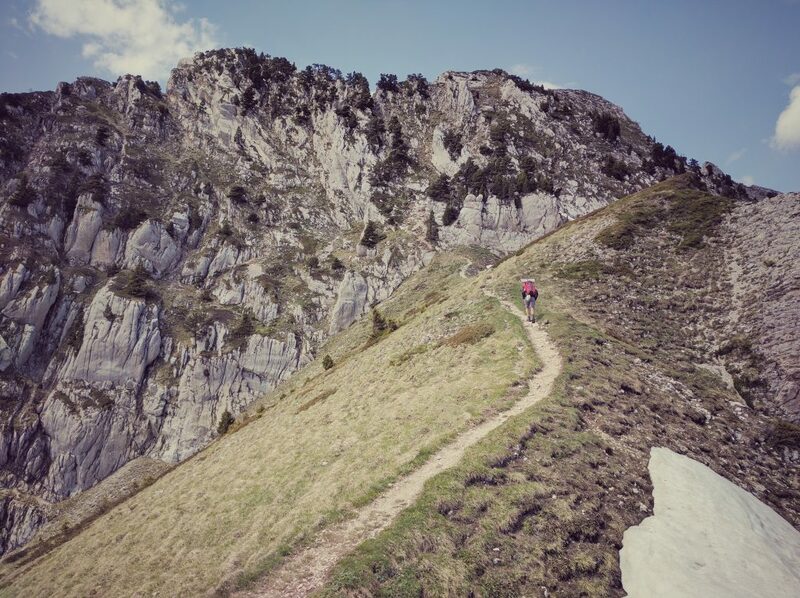 The trail starts off relatively level, but soon afterward you will start gaining elevation quickly. At many points, you will have to use your hands to help you climb, so exercise extreme caution if it has recently rained. For this hike, it is best to arrive early since the area is incredibly popular. Be sure to wear good shoes since you’ll be doing a lot of climbing, and be prepared to take in some of the most gorgeous scenery the Sedona area has to offer! 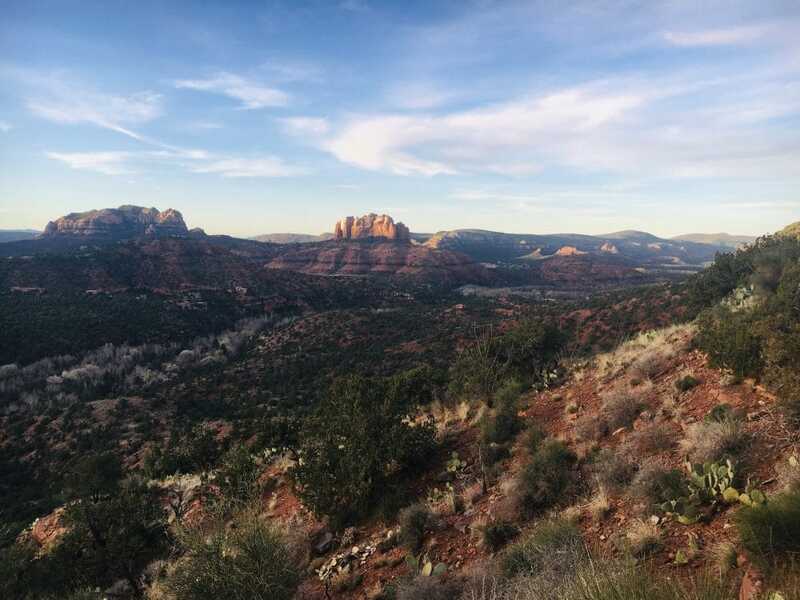 If you’re totally new to hiking, Sedona is just about the most beautiful place ever to take your first hike! 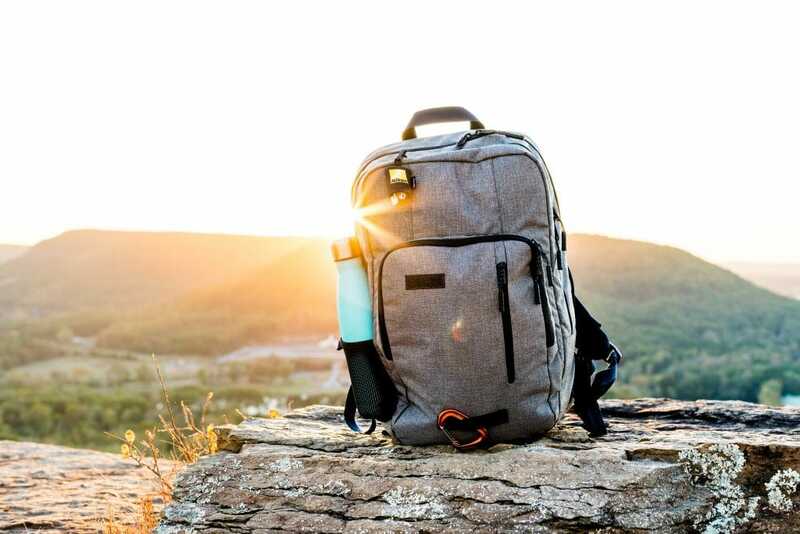 Be sure to check out our beginners guide to day hiking here. 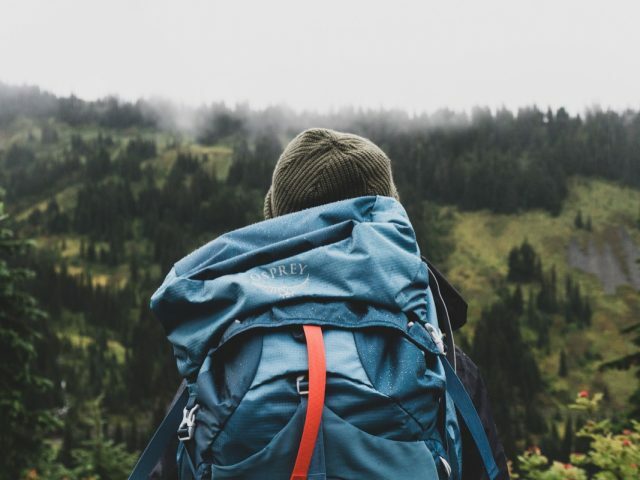 What are your favorite places to hike? Carrie Fay is a full-time RV traveler, outdoor enthusiast, animal lover and hammocking aficionado. Inspired by sunrises and sunsets on the open road, she works as a content creator and social media manager to fund her obsession with full-time travel. 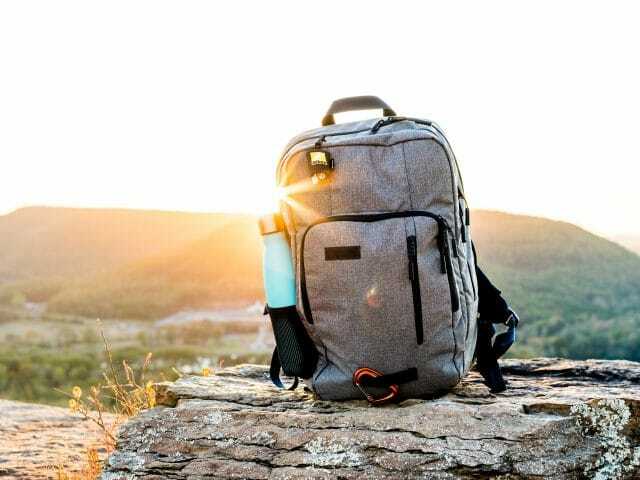 An entrepreneur by nature with a passion for helping others become location-independent, you can find Carrie at her blog: Making Money & Traveling.